Magazines: Life, Time, Saturday Evening Post, Collier's, celebrity misc. 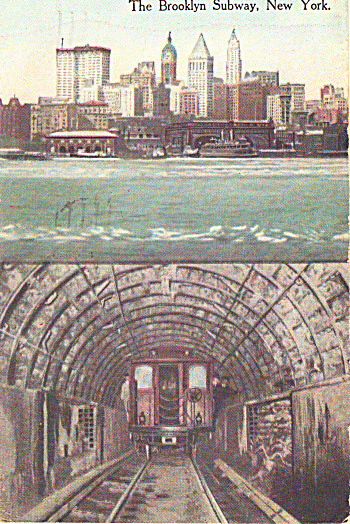 1917 postcard showing a skyline image on one end, and a trolley in a tunnel at the bottom. It's been sent and has a 2 cent canceled stamp. The sender signed it "Your Old Friend JP. Morgan". I did some research on this and it must have been an inside joke. JP Morgan died in 1913 so he couldn't have sent this.